The cost for the School Outreach Science Programs are $6 per student plus an additional traveling fee of $.50/mile based on the traveling distance to and from the Outpost. Travel fees will be figured at the time of sign-up and added to the total fee. A minimum of 40 students is required. 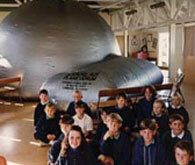 STARLAB, Earth Walk and Planet Earth require a large space for set up, such as an auditorium, gymnasium, or empty classroom. Classes can be scheduled throughout the day or over a series of days. Students will spend 40 minutes in our inflatable planetarium, learning about the stars and constellations, as the night sky is projected above them. Lesson emphasis is on the circumpolar constellations and those currently visible in the night sky, the myths behind the constellations, and how students can find them from their own backyard. One class of approximately 25 students can be accommodated in the STARLAB at a time. Appropriate for K - 8th grade. 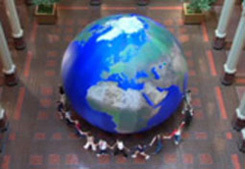 Students will spend 40 minutes with our 20x22 foot, inflatable globe learning about U.S. and world geography and their own place on Earth. 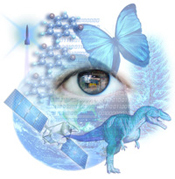 Emphasis will be on differentiating landforms and bodies of water and understanding how humans interact with the natural world; developing an understanding of the diversity of human culture and the unique nature of places; understanding regions and the connections between them; and understanding how geography can be used to make decisions about human life on Earth. Minimum space requirements: floor space – 60x60 feet and ceiling height – 25 feet. Programs, which help meet Delaware State Science and Social Studies Standards, are available for K - 8th grade.